← Twist is a Top! I showed you the little flag block I made the other day. 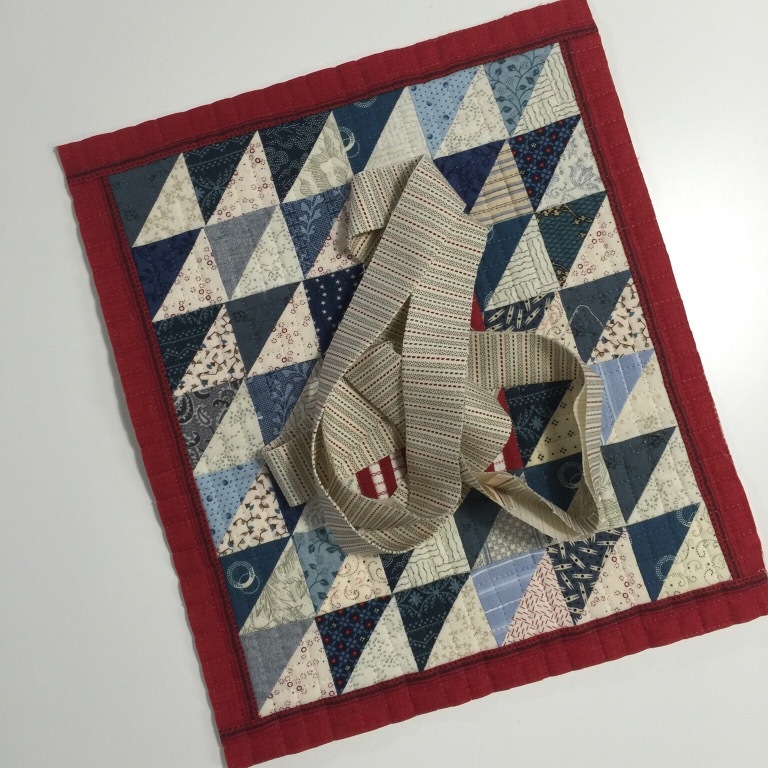 It is the center for a small calendar quilt from the Temecula Quilt Company. 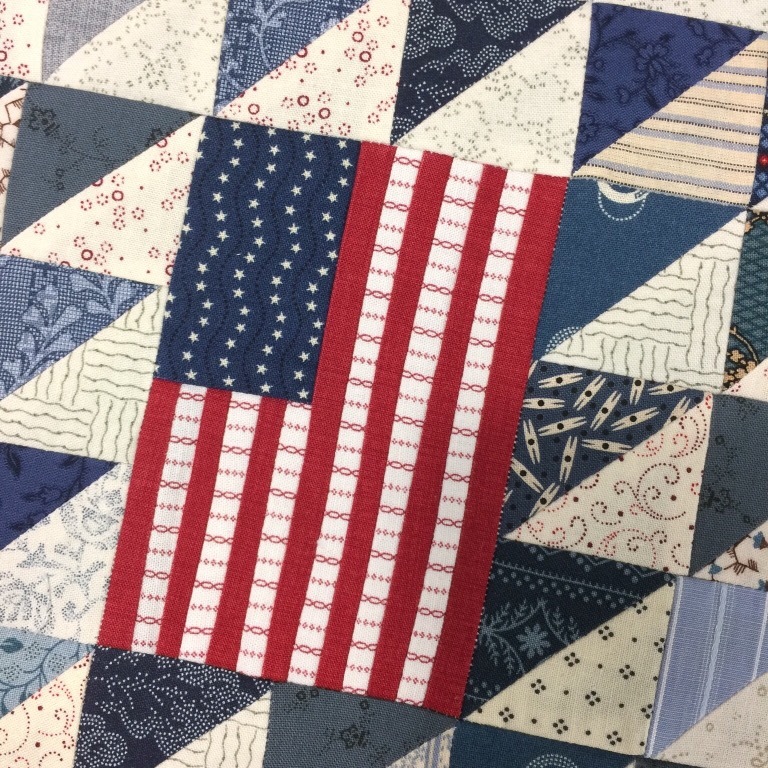 Of course, I can never leave a pattern alone and I wanted to set my flag horizontally, but the proper way to display a flag is with the blue field in the upper left hand corner. Always. So I am back to their layout, almost. I thought I would add these wide borders. But I ripped them off. It was okay, It just didn’t have the naïve look of a doll quilt. That’s better! I’ll be using those border strips for binding. 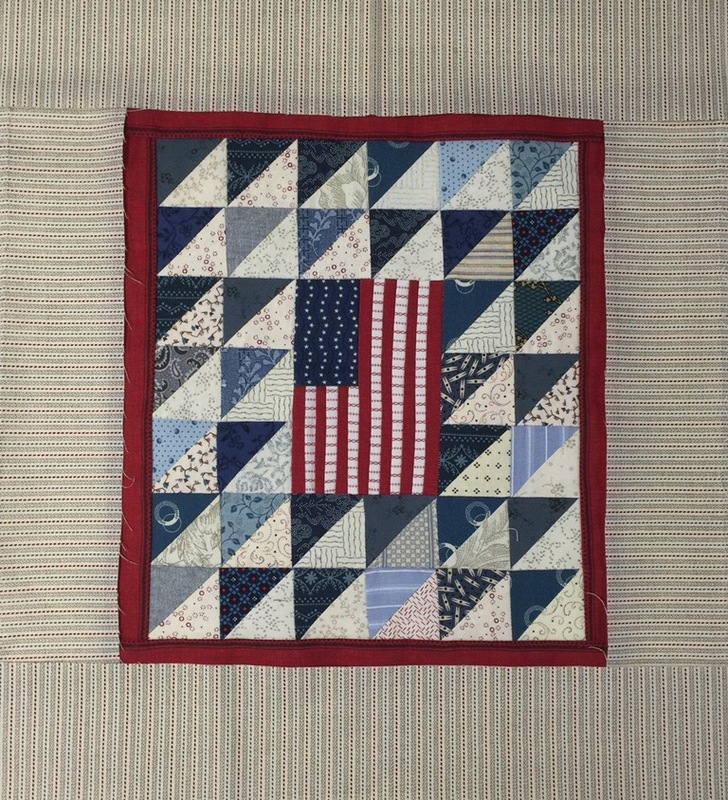 This entry was posted in Civil War Repro Quilts, Doll Quilts, Uncategorized. Bookmark the permalink. Good choice to remove the big border – it does look better. And the flag is terrific! What a cute quilt, and I agree with your decision on the striped fabric. It will make fun binding!